Step Into Japan With Us! : No Room? Here is one more story from the tsunami. This was passed along to me by missionary colleague, John Houlette, who helped clean the Matsukawa home of mold to prepare it for interior rebuilding. When the 311 earthquake struck, residents in a bay area city of Ishinomaki had precious few minutes to prepare for the tsunami that rushed ashore soon after. 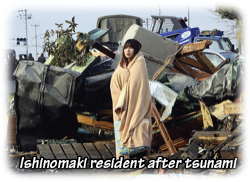 Mrs. Matsukawa managed to get herself and her elderly mother up to the second floor of their house before the wave arrived. From their bedroom window they watched the water wash large parts of their town away. People floated past their home. Many of them were soon overcome by the freezing temperature of the early March water. One elderly couple floated near enough for them to reach. The couple had been swimming hard and were completely exhausted. Mrs. Matsukawa called out encouragement, “Hang in there. It’s gonna be okay.” Then, with a small bit of makeshift rope (and no small bit of effort) she managed to pull the couple into her upstairs bedroom. The wife, however, had ingested too much debris-filled water and died on the floor. For five days the Matsukawas and this elderly man slept together in their upstairs room with the dead wife’s body. There was nowhere for them to escape to and no one had come to help. 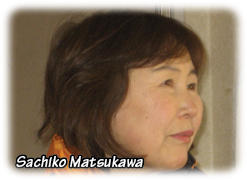 Mrs. Matsukawa rescued others during those five days as well. Once, in the middle of the night, Mrs. Matsukawa heard a pounding on her window. She laughs now that her response to this knocking was to call out in a sweet voice, “Yes? Who is it, please?” A young mother in the neighborhood had paddled up to her window on a tree limb. When the tsunami struck, this young mother had a 4-year-old son in her hand and an infant strapped to her back. Both children were swept away. She alone was left clinging to a tree in a neighborhood yard. She pleaded for help to the family watching from the home. The family ignored her pleas and shut their windows. Mrs. Matsukawa, however, took this woman in. She piled layer after layer of clothing on the woman’s shivering body to warm her up. She shared the bit of chocolate snack she had left. She made room in her home, and in her already turbulent life, until help arrived days later. When I heard the story of Mrs. Matsukawa taking in a desperate young woman, and another neighbor rejecting the woman, I was reminded of the Christmas story. God was acting out of self-sacrifice and love; man was responding out of self-preservation and rejection. 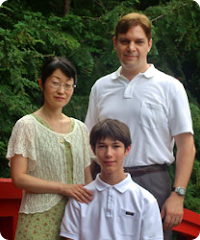 Although not a Christian, Mrs. Matsukawa certainly acted in a Christ-like way. 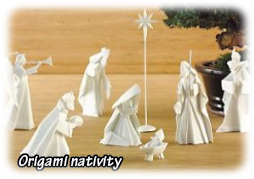 Her neighbor, however, acted more like the innkeepers of Bethlehem. And lest we be too hard on the innkeeper, let’s remember that we, too, have more than once failed to give Jesus his rightful space in our lives. We, too, have unintentionally sent him to “the stable” of our lives on many occasions. Although this world and I fail at times to make room for the Son of God, I am thankful that my Savior made room for me: leaving the joys of heaven for the pains of earth, bringing me into relationship with the Father, preparing for me an eternal dwelling. Our Savior still seeks room in the hearts of people. And the challenge of making room for Christ in my Bethlehem Inn-like heart is certainly reflected by how I make room for his people. None of those of whom God brings into my life will likely ever come paddling up to my window on a tree limb, but many are equally desperate. Although not a Christian, Mrs. Matsukawa certainly responded to the need around her in a Christ-like way. Her response challenges my heart. How about you?